Kirby Chambliss put his own spin on the tradition by landing his Edge 540 raceplane directly on the Las Vegas strip at the iconic sign. Chambliss then took off from Las Vegas Boulevard in spectacular fashion, trailing smoke behind him. Chambliss performed the feat ahead of the Red Bull Air Race World Championship 2015 final, which is taking place in Las Vegas on October 17-18 at the Las Vegas Motor Speedway, where the World Champion will be crowned. 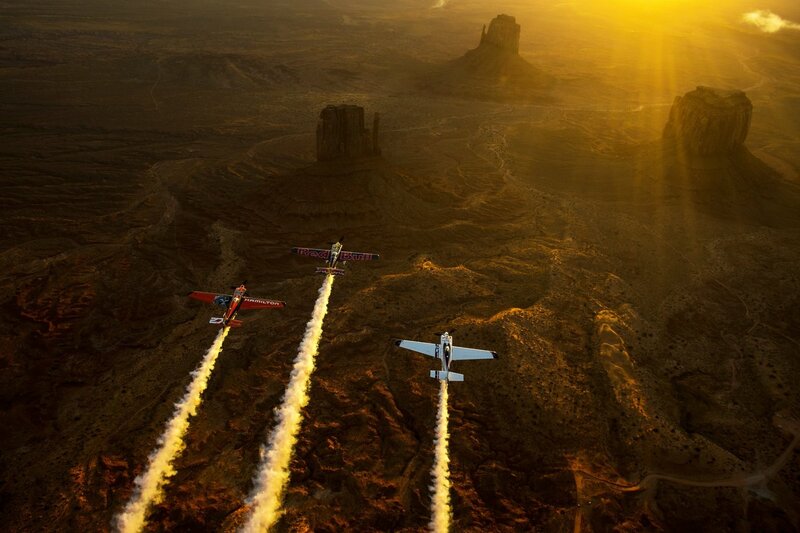 Kirby and his fellow air race pilots Nicolas Ivanoff and Mathias Dolderer also posed for some stunning photographs over monument valley on their way to Las Vegas. 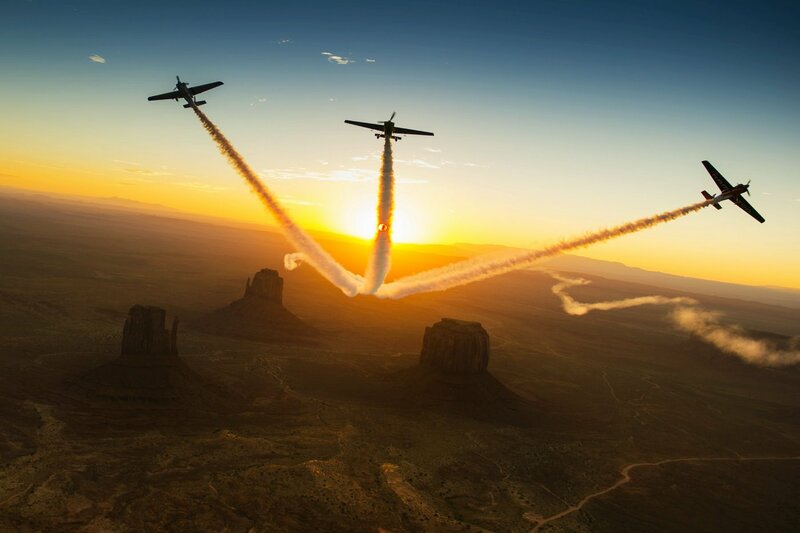 Chambliss, a native of the American Southwest, took the opportunity to show Matthias Dolderer and Nicolas Ivanoff the glorious landscape of Monument Valley, Utah as they ferried their Edge 540s from Fort Worth, Texas. Chambliss is headed to the U.S. to finish out its eight race series. The Red Bull Air Race World Championship features the world’s best race pilots in a pure motorsport competition that combines speed, precision and skill. 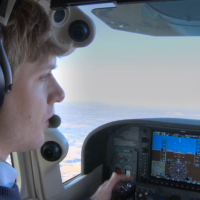 Using the fastest, most agile and lightweight racing planes, pilots navigate a low-level aerial track made up of air-filled pylons 80 feet high at speeds of up to 230 mph. Tickets are still available for the season finale. Get them HERE and don’t miss out.